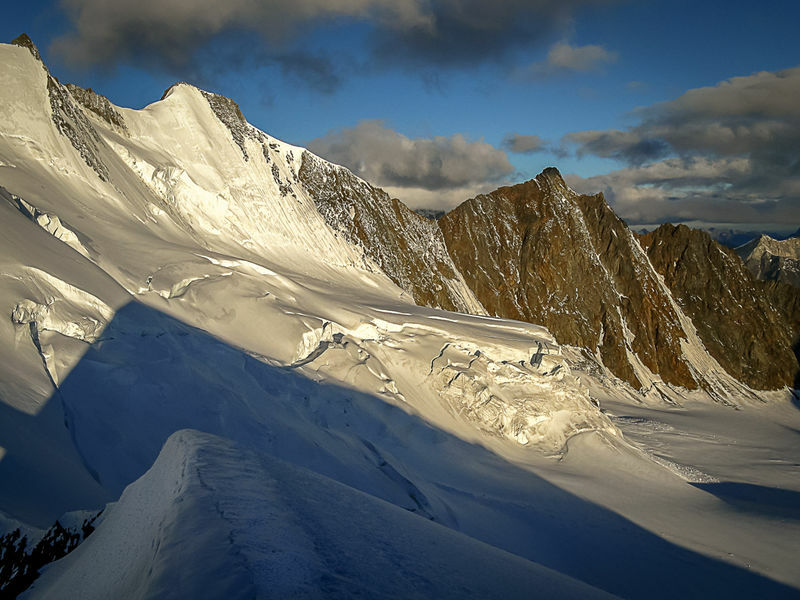 The Hohbärghorn is the third 4,000-metre summit of the Nadelgrat ridge, which consists of the Lenzspitze, Nadelhorn, Stecknadelhorn, Hohbärghorn and Dirruhorn. The ridge leads north-west from the Mischabel group, somewhat hidden between Saas-Fee and Randa. 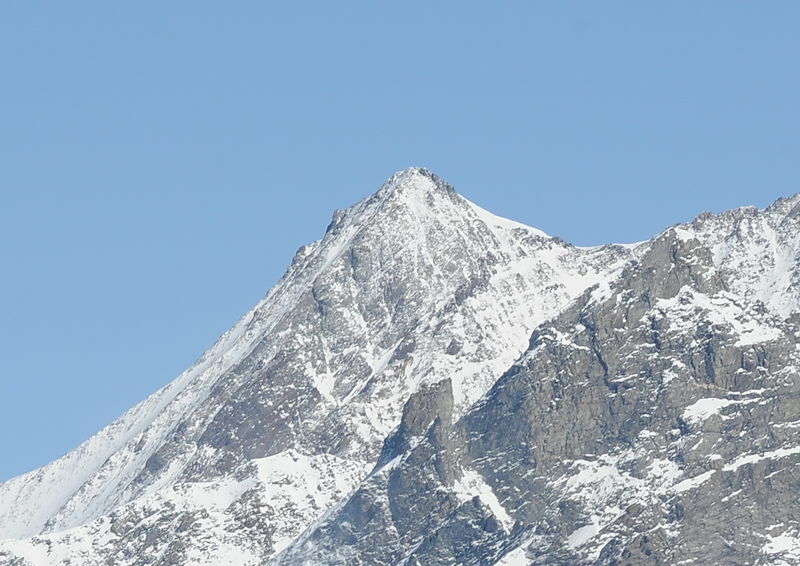 The Hohbärghorn, which is only 22 m lower than the neighbouring Stecknadelhorn, is glaciated on its north side (Ried Glacier), and rocky to the south. There is a magnificent view of the Dom from the summit. The earlier name of “Hohberghorn” was replaced by the dialect version a few years ago.